The swenkas are Zulu migrant laborers living in Johannesburg’s poor areas who have been turning heads with their elegant style and dance skills since the mid 1900s. In the apartheid decades, swenking preserved Zulu culture and pride. The swenkas favoured a formal dress code inspired by jazz-age refinement. Their tailored suits came with brimmed hats and leather shoes, as well as a variety of accessories, including eyewear, gloves, braces and straw hats, and were displayed at fashion pageants that gathered fellow dandies and citizens as judges of style. On those occasions, the swenkas would display their ensembles with elaborate acts and special ‘moves’ aimed at calling attention to outfit details. The winner would receive money or, more rarely, a goat. After a period of near-disappearance, swenking has returned to inspire a performative aesthetic of formal, metropolitan menswear. In a Vice article, new affiliates are photographed in their favourite outfits of expensive Pierre Cardin suits and ties, Baker and Florsheim shoes, Cashini shirts. 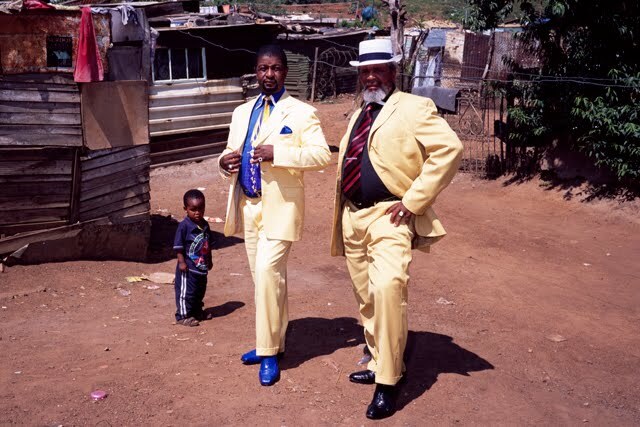 In 2004, the Danish filmmaker Jeppe Rønde released a documentary about these South African dappers, which is available online. 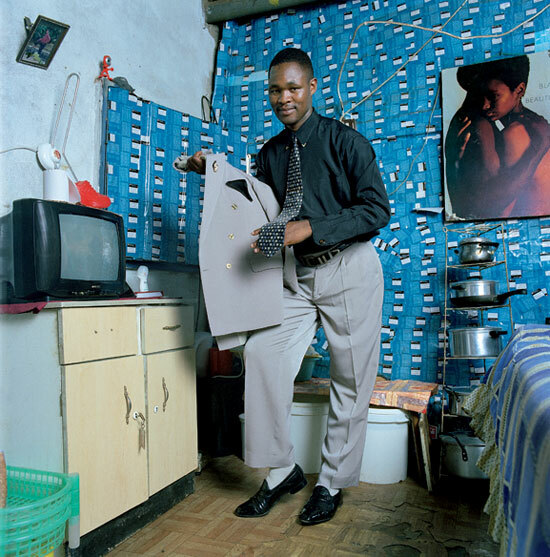 The work follows some swenkas in Johannesburg, focusing on their complicated life, where they balance the multiple identities of family breadwinner, underpaid workman, and fashionable. Jeannette Catsoulis describes Rønde’s film in the New York Times as a reflection on how style can help individuals transcend class barriers. “The Swenkas” is a study in contrasts: a silk necktie reflected in a shard of broken mirror, a picture of Elvis — the ultimate swanker — taped to a rusty locker, a Pierre Cardin suit anointed with good-luck herbs. But as the men pivot and pose to the strains of Henry Mancini and Nat King Cole, flashing cuff links and zebra-striped socks, a more universal ritual is enacted. Like Tony Manero in “Saturday Night Fever,” what working stiff doesn’t itch to become a peacock on Saturday night? This universalist reading is accurate but also problematic, as it implies that all experiences of poverty and human exploitation are the same. 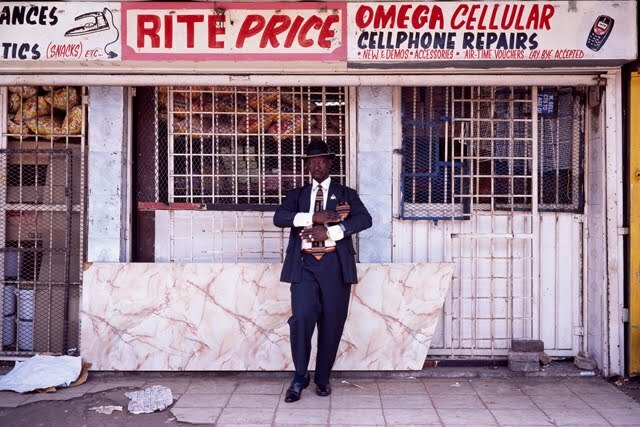 Instead Rønde clearly shows that his subjects belong to a world that is very much the outcome of local circumstances, including the swenkas’s sense of identity as Zulu men. 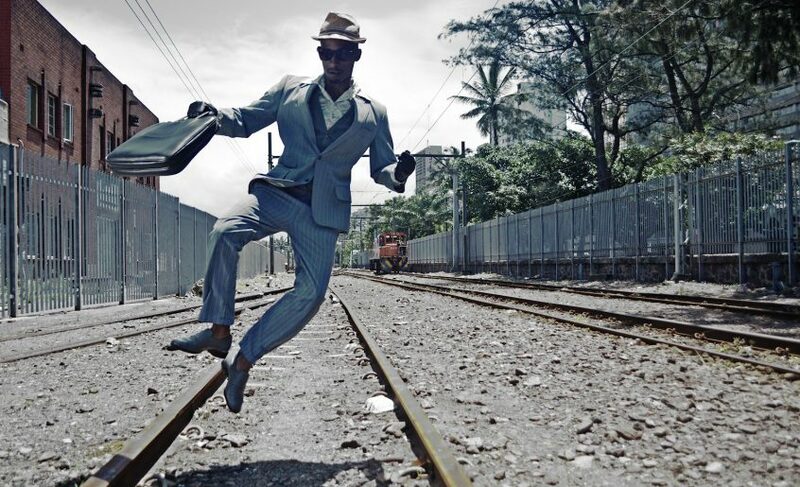 As a prominent representation of African dandyism, swenking is also often confused with Congolese sapologie. This is another way in which the specific elements that make this phenomenon so compelling to witness and understand are overlooked. As I was searching for pictures to add to this post, Google came up with stills from Solange Knowles’s 2012 video “Losing You”, which does not feature swenkas but sapeurs. 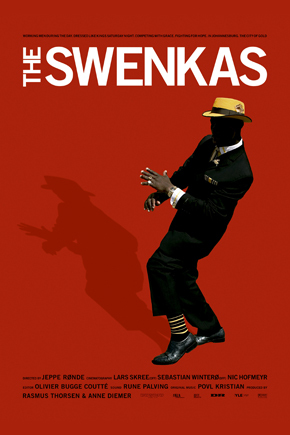 Make no mistake: the swenkas and sapeurs share many characteristics, like the emphasis on personal hygiene, the obsession with high-street brands, and a jazz-age inspired look, but they are also the product of the urban environment of Johannesburg and of its painful transition from colonial town to global metropolis that literally took place on the body of hundreds of thousands of internal migrants and their families. 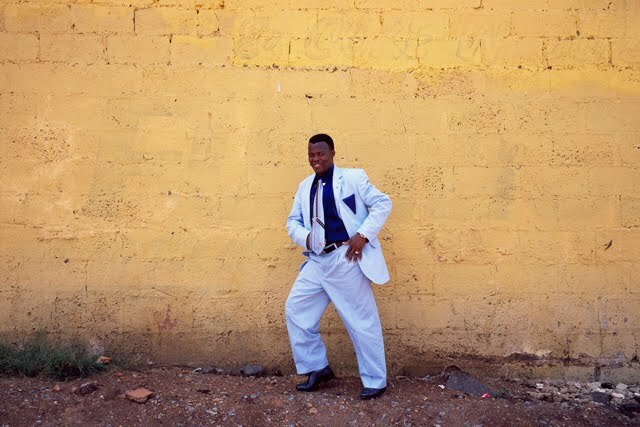 For one, the sapeurs claim a much looser sense of situatedness, as their experience is instead born in the diaspora and, at least in part, out of political dissidence. Further, swenking is essential to the articulation of ethnic and community pride, while this element is much less foregrounded in Congo (Bazenguissa 1992). This conflation of experiences into the blurry visual configuration of “black dandyism”as derived, in my case, on Google, is a good example, I think, of the dangers of abstraction that Nicole Fleetwood ascribes to black iconization in Troubling Vision(2011) and On Racial Icons (2015). Focusing on how images of African-American stars like Barack Obama, Serena Williams and Diana Ross are consumed by the public, in On Racial Icons she cautions that “racial iconicity hinges on a relationship between veneration and denigration” (2015, Kindle ed. unpaginated), which can substitute embodied experience with singularity and completeness. When African dandies appear in commercial spots by global corporations like Guinness and Nokia they are unhinged from their context. They become icons, cyphers that function “as decontextualized evidence of a historical narrative that is contained by normative public discourse” (Fleetwood 2011: 11). Carrying on my research on African subcultures of style from a distance, I have to be always careful not to generalise or abstract. As I engage with their visual narratives of identity and community making, I have to remind myself that these are documents of enfleshed subjectivity and that my reception must take into account this play between abstraction and embodiment. Bazenguissa, R. (1992), ‘La Sape et la polique au Congo’, Journal des Africanistes, 62: 1, pp. 151–57. Fleetwood, N. (2011), Troubling Vision: Performance, Visuality and Blackness. The University of Chicago Press. _____ (2015), On Racial Icons: Blackness and the Public Imagination. Rutgers University Press.